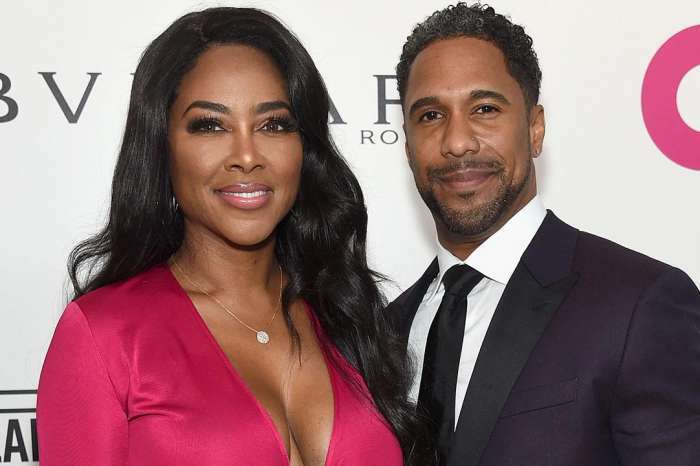 It seems that Kenya Moore’s husband, Marc Daly, reportedly asked for an outrageous fee in order to agree to make an appearance on RHOA. He had denied all the requests to appear on the show throughout the current series because it looks like he was claiming that he wanted to keep his personal life private. He also claimed that he was not at all interested in appearing on the famous TV series. Kenya is part of the show and some of her reasons for being on this show is to document her personal life. This is why producers were really annoyed when she kept the news of her marriage a secret. She also supported her husband’s requests not to be filmed when he was in Atlanta. These demons seemed kind of outrageous since the whole point of this show is that the housewives share their private lives with their viewers. When the show’s producers wanted to negotiate a deal with Kenya’s hubby, Radar Online claimed that Marc demanded a whopping $25,000 just to make a single appearance in one scene only. It’s already a known fact that RHOA’s producers have been desperately trying to get Kenya and Marc to film at least a scene together. Producers said that they felt as if the storyline is incomplete without having Kenya’s husband appear on RHOA and discuss his marriage. What’s even more interesting is the fact that Bravo is not known to pay the husbands of the housewives a fee for their appearance on RHOA. They usually just make guest appearances on the show and support their wives. It looks like Marc is not interested in appearing on the show, especially since he has to play by the producer’s rules. Producers did not agree to offer him the fee that he had asked for, and this led to Kenya’s fans to believe that it’s quite possible that she would lose her place in the show as well because the people behind the scenes are not happy with her at all. Kenya was already a staple on the show. Ratings have seriously dropped. Her husband has every right to want his privacy and if Bravo demands his time – away from his own business- he should be compensated. Period. She’s past history with the show! Now she needs to quit posting pictures of that sweet baby. It will not benefit her little girl to have pictures all over the Internet making her mom sound desperate to be relevant. Kenya cannot have her cake and eat it too. It is best to leave and not rock the boat with this marriage. She can always get another gig. People want to see her. She is beautiful and smart, so opportunities will hopefully come. I am kind of concerned that her hubby wants money. If wants to be private, then NO amount of money should make him change his mind. Just sayin’……hmmm. I don’t think Kenya should allow a man to dictate her position,or stance on her job. I mean what was she doing before the show? She built her house because of the money from the show. I also don’t believe, that other husband’s aren’t paid for their appearance ,on any of the housewives shows!